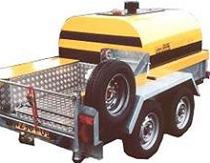 GripTester MK2 is the world’s number one trailer-based continuous friction measuring equipment. 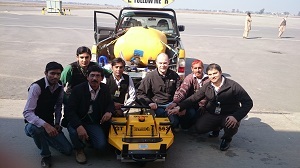 Since it's first inception 30 years ago, GripTester is in operation worldwide being used everyday to make the world's airports and highways flow safely, reducing the risk of wet skidding incidents. GripTester MK2 currently operates in all regions of the world; arctic, equatorial and temperate. 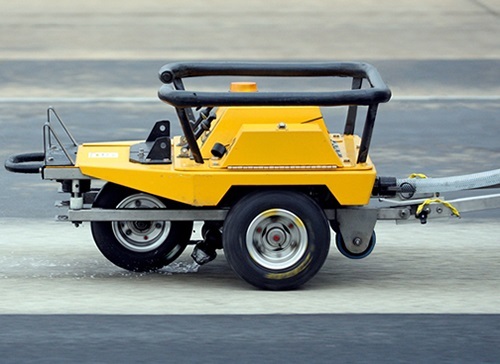 The GripTester MK2’s light towbar pull and low centre of gravity ensure safe, stable operation on winter and summer runways. 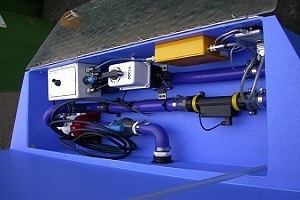 The unique Automatic Water Delivery System (AWS) provides a fully automated controlled delivery of water minimising water usage and safeguarding the accuracy of results. 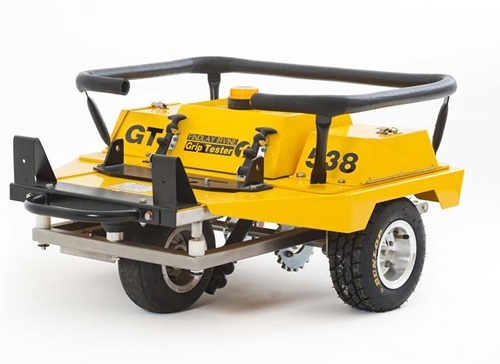 Ease of Use GripTester MK2’s light weight, robust construction and reliable performance make it the most deployable friction tester in the world. The Roadbase software is designed specifically for use on roads and highways. Designed by and with road Operations in mind, the software quickly and easily allows for the collection of skid resistance data as well as the input of investigatory levels. Roadbase generates easy to read reports as well as giving real time data displays to the operator during surveys. By outputting data in csv format, skid resistance data can be easily viewed. GripTester MK2 also comes with software to allow for the easy conversion of data in shp files which allows the data to be overlaid onto a map. Data can also be converted into HMDF format for insertion into Pavement Management Systems. 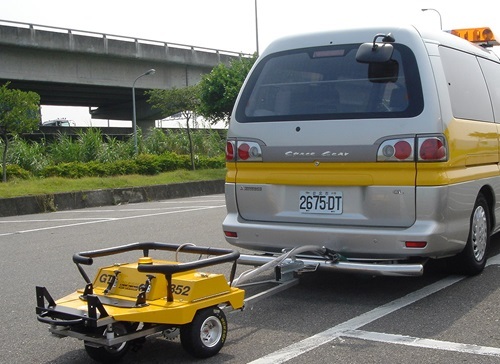 GripTester MK2 is robust, flexible and easy to deploy making it the world’s most popular trailer based Skid Resistance measuring device for roads. It can provide instant friction results helping to keep you network safe and moving. Although GripTester is a robust measuring device, as with any measuring device it requires to be cared for and calibrated regularly. 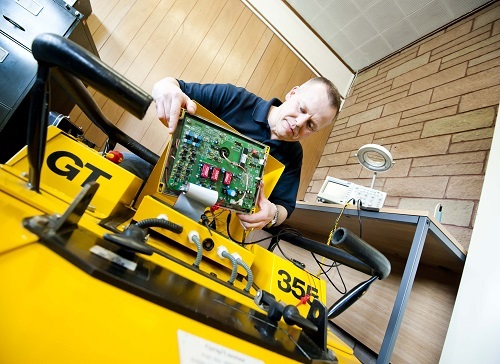 Findlay Irvine offer a complete range of service and maintenance packages to ensure your Griptester last for years as well as affording peace of mind. The Maintenance Contract provides a range of benefits including annual service and calibration plus preferred service with preferential turnaround times. Imagine you are in the middle of a skid resistance survey during the testing season and you accidentally damage your GripTester. You may only have a few weeks left of the testing season to complete the survey – and there are penalties in place if you do not complete the work on time. Don’t panic! Findlay Irvine’s Maintenance and Service contract is designed to help you in these situations. If you are UK based a replacement GripTester, calibrated and ready to go, is despatched within 24 hours. This means down time is kept to a minimum and you are able to complete the survey on time. The maintenance and service contract is all you need to keep your GripTester in tip top condition. Annual maintenance and calibration against the Findlay Irvine reference machines together with the issued Certificate of Conformity gives you and your clients the peace of mind of an audit trail that proves you are doing things correctly. There is much more to the Maintenance and Service contract than just maintenance and service. A detailed copy of the Maintenance and Service agreement is available on request. 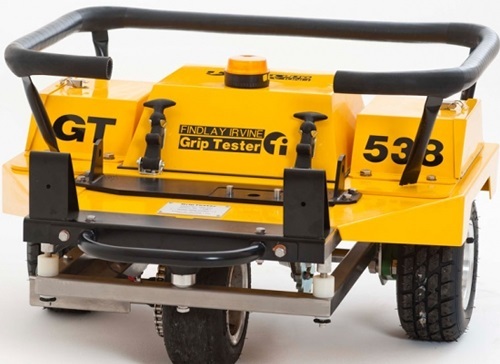 Full training on Operation and Maintenance can be provided by Findlay Irvine ensure all delegates leave the course factory trained and competent in using the GripTester MK2 for testing runways. Our knowledgeable and friendly trainers can tailor a course to suit your organisation and ensure that you get the most out of your GripTester MK2. 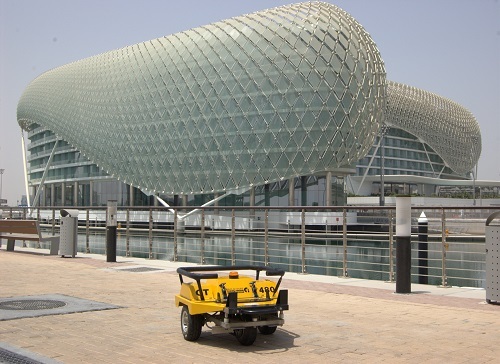 The Customised Water Tank can be made to specifically fit any vehicle perfectly. 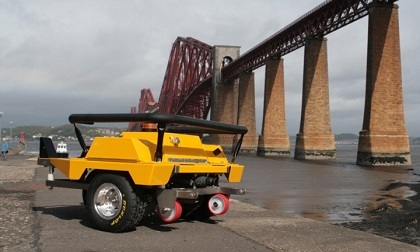 It can be designed to suit your survey needs up to a size of 1000 litre with an integrated Automatic Watering System which includes pump, pipework, electronic valve and flowmeter which ensures the user maintains the appropriate water flow under computer control for survey speeds between 20 km/h and 95 km/h. 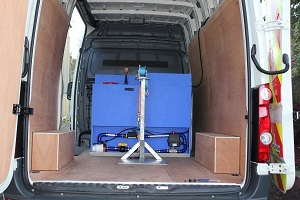 The tank has internal baffles to minimise effect on vehicle performance. Although 1000L is a typical size, the tank can be created for any practical water volume. The Airbase software is designed specifically for use on Airports. Designed by and with Airport Operations in mind, the software quickly and easily guides users through all classifications of surveys including maintenance, ICAO and CAP683. 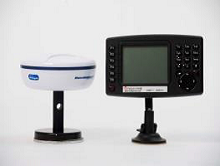 Airbase generates easy to read reports as well as giving real time data displays to the operator during surveys. 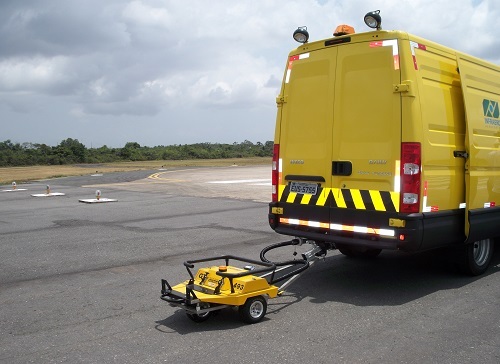 GripTester MK2 is robust, flexible and easy to deploy making it the world’s most popular trailer based Skid Resistance measuring device for airports. It can provide instant friction results helping to keep you network safe and moving.